How to draw a penguin with a pencil in stages? Lessons pastel. How to draw a penguin? Today, our materials will be pastels and pastel pencils. And we will draw the Emperor penguin in the snow. Split form (namely, the penguin) to a simpler compound forms. The definition of the external borders of the penguin and floor background color spots. The denser the coating color and the drawing of the details. 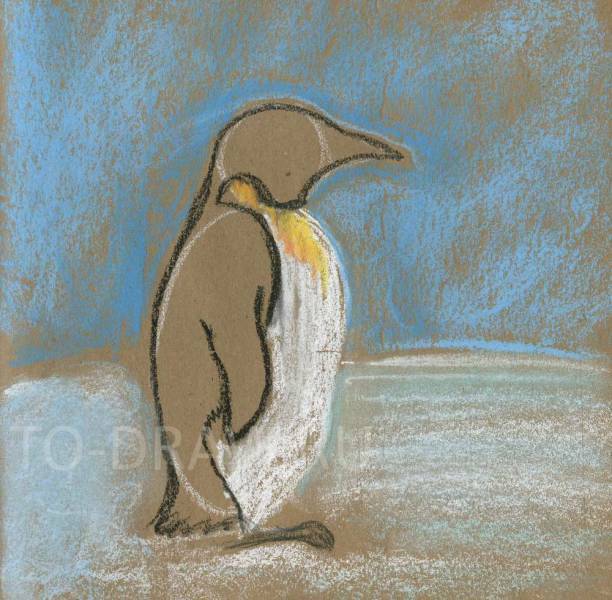 If you look at penguin, we will see that we can split the shape of his body into components - a small circle and oval. Outline color spots background. 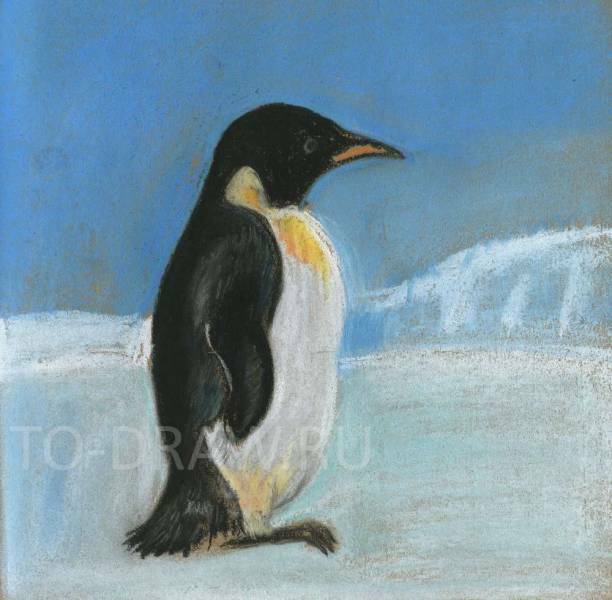 Because penguins live in the snow, and the background we will have blue and white. 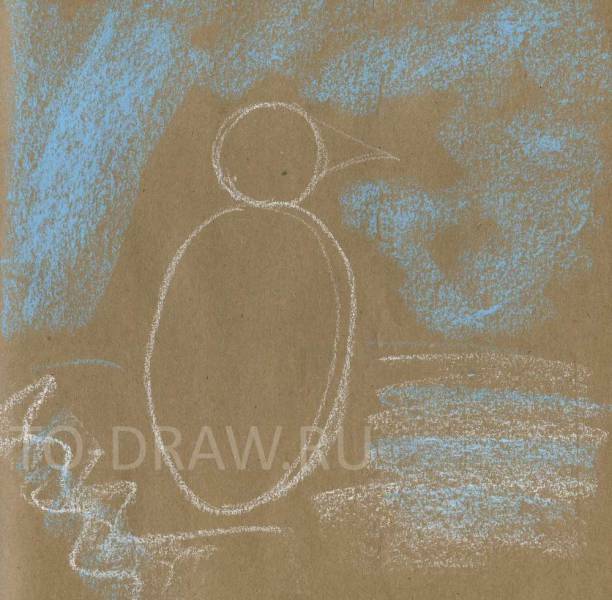 Draw the initial sketch of a penguin. Next, combine all into one flowing lines and namecom color spots on the penguin - black back and head, pusika white with an orange collar. Painted black and Indigo back and wing. Will retusum (finger) white on the belly. For the sky and snow we take pastel crayons (white and blue shades) and putting them on the side glossing over a large surface. Then it will retusum until smooth and velvety effect. In Antarctica where penguins, the whole landscape blue and white. The sky is cloudless blue so it will draw, snow, blue and white. Add light black spots on the back, wing and tail penguin. And in the last step, add brightness white belly. Also make brighter orange-yellow collar. Add a shadow under the wing.